Baking is no easy feat. It’s one cooking method that requires exact portions and accurate parameters. One thing that home cooks find a bit difficult to deal with when it comes to baking is monitoring the temperature inside the oven. If you are sick of playing “guess what” with your oven, I’m sure you’d certainly appreciate the benefits of a fine oven thermometer. Read our buying guide below and by the end of this article, you will have gained enough wit to choose the best oven thermometer for your kitchen. An oven thermometer can accurately determine the temperature inside your oven. If you are a newbie baker, you ought to know how important it is to get the temperature of your oven right while cooking. When it comes to baking, the lack or excess of degrees in temperature can significantly affect the food you cook. Set the temperature a couple degrees back and you might end up with food that’s cooked on the outside but not on the inside. Set the temperature a little higher and you can seriously end up with overcooked food that is a bit tough to eat. The same is true for baking. If there isn’t enough heat, whatever you are baking might not rise on time, resulting in undercooked dough, pastry or bread. 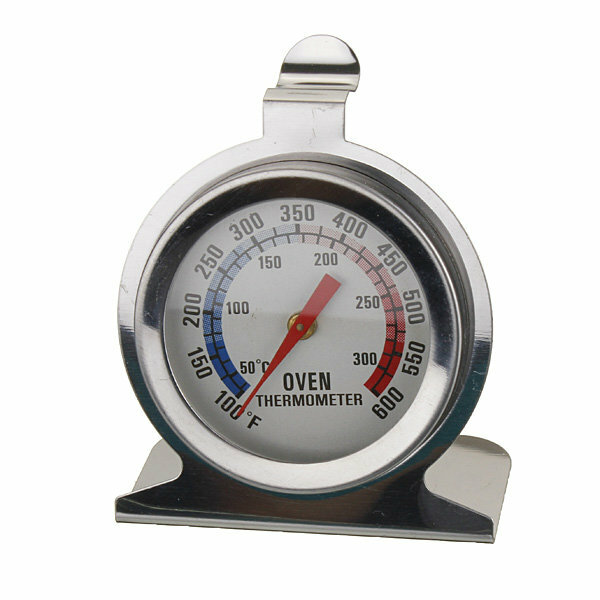 Getting a handy oven thermometer in your possession will completely eliminate any uncertainty that you have regarding your oven’s cooking temperature. Even though oven thermometers seem like fairly simple tools, you’d be surprised to know how many people don’t know how to use one. Before we get into the list of the best oven ﻿﻿thermometers you can buy in the market today, here are a couple of things you ought to know regarding the use of an oven thermometer. Before I got hold of my first oven thermometer, I honestly thought that maybe I should just stick my hand inside the oven while holding the thermometer to accurately gauge the cooking temperature inside. Do not do that, that’s completely wrong and hazardous, and it will let out the heat from inside. What you should do is you should place your thermometer inside of your oven beforehand. This is to ensure that the thermometer will get an accurate and relevant reading. The oven thermometer should be placed in the same rack where you are going to place your food. Oven thermometers are resistant to heat so you shouldn’t worry about them getting damaged from the heat. After placing your thermometer inside the oven, you should now start setting your desired cooking temperature. Remember to keep your oven’s rack bare at this step. Once you have set the oven’s temperature, you should now see a light indicator that signals your oven is preheating. While your oven is preheating, refrain from opening the oven doors. Doing so would only let out the heat and cause you to wait longer. Once your oven’s preheat light indicator goes off, you can start checking your thermometer. Do take note that sometimes, the oven thermometer can read a lower temperature than what you have specifically set. If your oven thermometer reading is a little below your set temperature, try to give it an extra 5 minutes or so to catch up and provide you with an accurate reading. It is always important to have a specific set of factors that you should go over before buying any product. Doing so will help you make sure that the product you will purchase is something that will meet your needs and you will enjoy using at the same time. Of course, having an oven thermometer that’s not accurate is no good. Try to look for an oven thermometer with a brand known for producing accurate readings. Although some oven thermometers can be off by 5 degrees or so, do not settle for one that can be off by more than 10 degrees. Though oven thermometers may look pretty basic, you’d be surprised to know how its design can actually affect its overall use. Try to look for an oven thermometer that comes with a hook or a stable bottom so that it will always face you when you are peeking through your oven doors. An oven thermometer that you can’t read is as good as an inaccurate thermometer. Try to choose an oven thermometer that’s great for your eyesight. Keep an eye out for thermometers with vivid color contrasts and simple temperature indications. Some oven thermometers today can offer you a digital representation of the temperatures inside of your oven. Others are more traditional looking and straight to the point. If you ask me which one is better, digital or analog, I really think that It’s just a matter of personal preference. 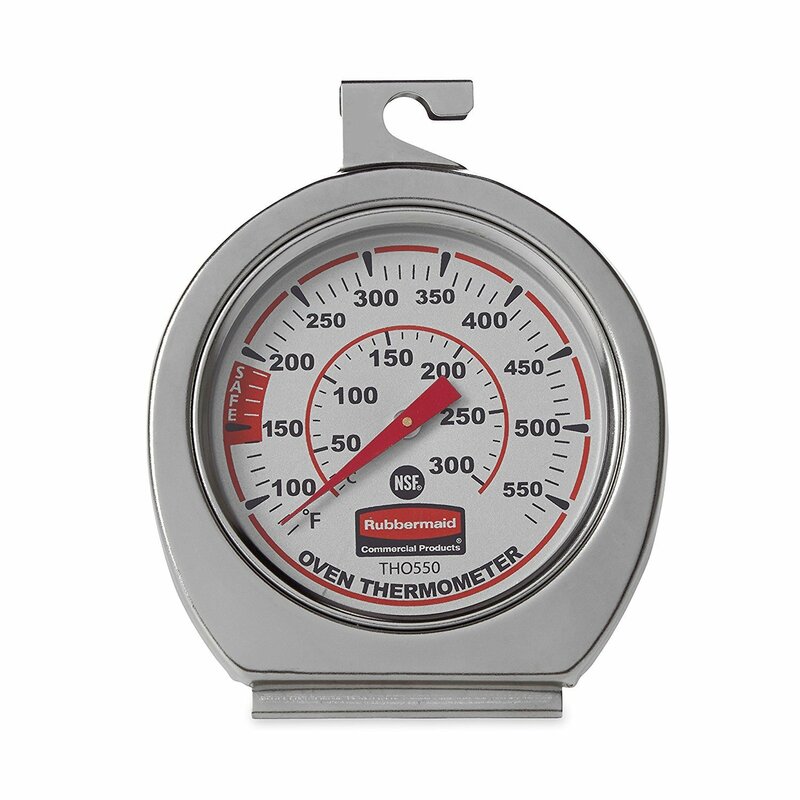 The Rubbermaid Commercial FGTHO550 Stainless Steel Oven Monitoring Thermometer is one simple tool that will provide you with accurate readings. You can easily set this oven thermometer in the racks of your oven because it comes with a completely stable base. It even has a nice hook that you can use to hang from the racks above. This little bad boy is also fairly durable. It’s made with high quality stainless ﻿﻿steel that can withstand the heat temperatures in your oven. It also comes with a 2 inch diameter face that will allow you to effortlessly see the temperature readings. This high tech digital laser thermometer will let you measure the cooking temperatures inside your oven without having to place it inside your oven at all. It has a laser that you can easily use to point at the object you wish to measure the temperature and a fine LCD display that will let you know the reading. This is a really handy tool because you can use it as your food is cooking to ensure that your food is being cooked in the right temperature the whole time. Perhaps the only disadvantage that this product poses is that it requires batteries that can come at an additional cost. Eliminate cooking temperature guesswork with Etekcity Lasergrip 774 Non-contact Digital Laser Infrared Thermometer -- the best oven thermometer that lets you to monitor the temperature. If you are looking for a bargain, these two stainless steel oven thermometers will surely give you a bang for your buck. These oven thermometers come with a large 2 and ¼ inch dial along with a red indicator needle that will help you determine the reading with ease. This oven thermometer can read temperatures ranging from 150 degrees Fahrenheit up to 550 degrees Fahrenheit. It also comes with a wide base that will keep it secure on your oven’s racks. Then there’s also its two-way hook that will let you hang it from your racks above. This is another non-contact thermometer that will effectively provide you with accurate readings all throughout your baking process. 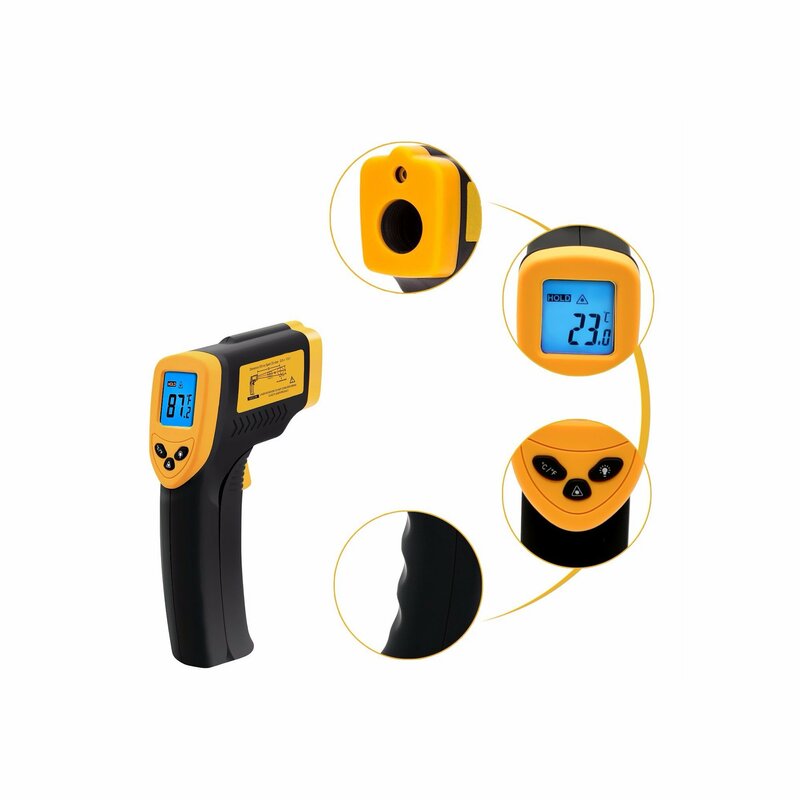 This non-contact thermometer comes with a laser sight that you can use to effortlessly point and measure the temperature of a certain object. It also comes with an Auto shut-off, Data Hold Function, and a Low Battery Indicator & Backlight Display Selection. This tool can also read temperatures in both Celsius or Fahrenheit in just a matter of seconds. All you need to do is point and press the trigger and presto! You’ll immediately know the temperature inside your oven. 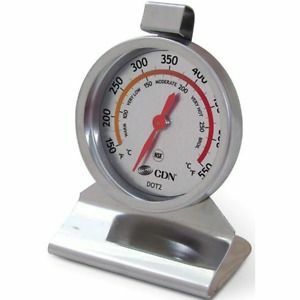 Another reliable oven thermometer in this list is this stainless steel thermometer that’s designed to withstand temperatures ranging from 100 up to 600 degrees Fahrenheit. 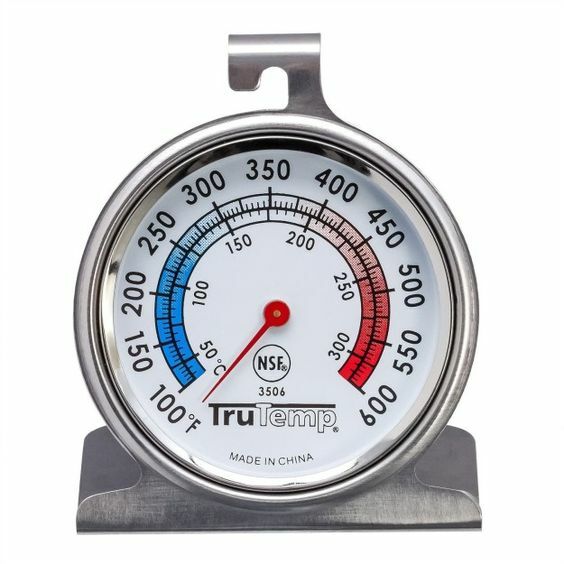 This stainless steel oven thermometer is completely durable and is ideal for all sorts of cookware such as gas cookers, electric cookers, and even BBQ cookers. It also comes with a handy hook that you can use to securely put it in place and a stable base that won’t let it tip over inside your cookware. “Cheap but Reliable”. 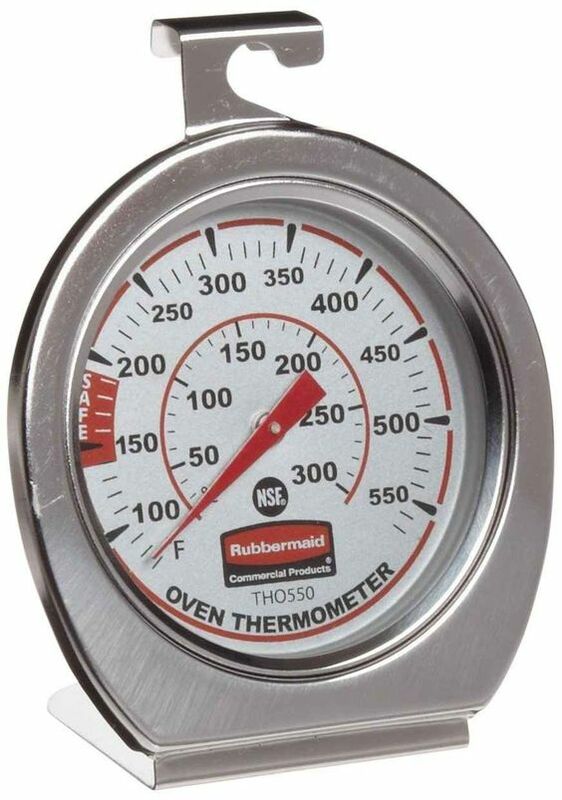 If you are looking for an inexpensive and no-fuss oven thermometer that does its job well, look no further than the Rubbermaid Commercial Oven Monitoring Thermometer. It is inexpensive and has all the basic functions you might be looking for in an oven thermometer. It’s also ideal for those with a bad eyesight as this has a big face. “Convenient Thermometer”. For those who tend to forget putting their thermometers in the oven before cooking, here’s a thermometer for you. You hold it like a gun and just point it at the direction of the oven. It’s easy to use and doesn’t require tweaking. “Share It with a Friend”. 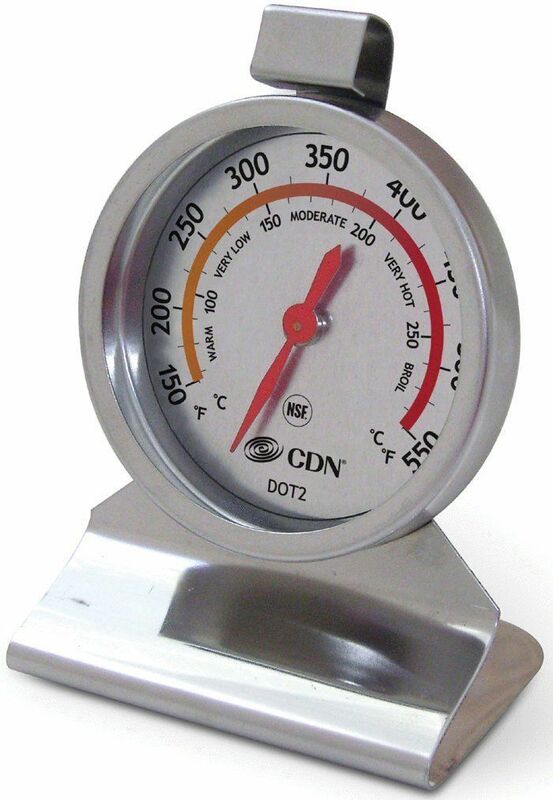 Get the CDN Set of 2 Oven Thermometers. It is a pair so if you have a friend or a family member who might need another thermometer, you can just give the other one as a gift. Don’t like to give it as a gift? No worries. Just store it for future use. In case your first one breaks down, you still have a spare to use. “The Most High-Tech”. 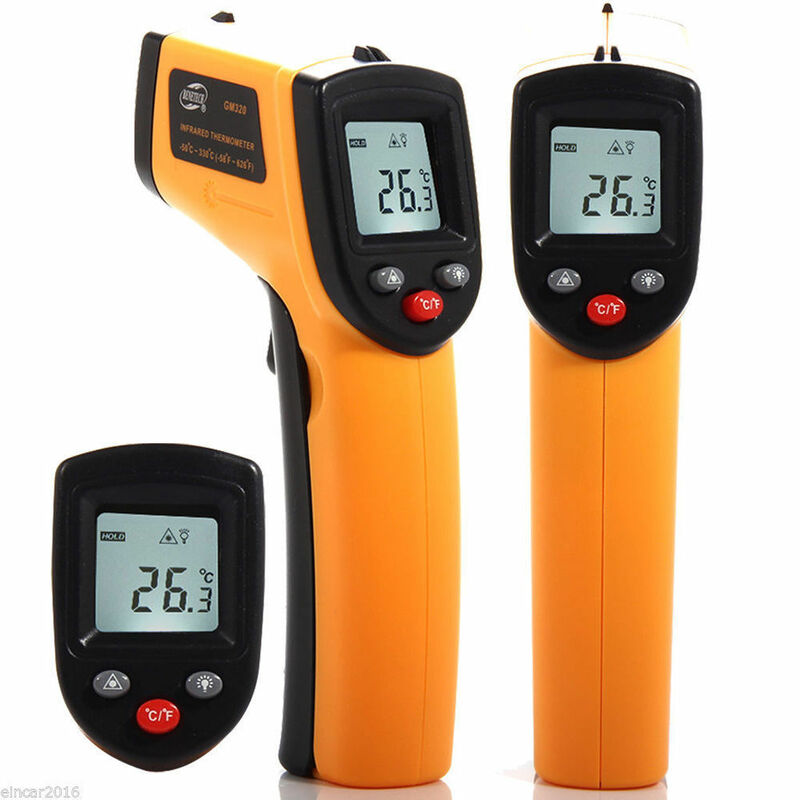 The Non-Contact LCD IR Infrared Digital Laser Thermometer is an easy choice to make if you want all the bells and whistles in your oven thermometer. It has a lot of features but the most convenient is that it comes in both Celsius and Fahrenheit reading. It’s a little bit more expensive but the additional features are worth it. “The Durable One”. Get the Westonetek Stainless Steel Dial Oven Thermometer if you like something that won’t break down even when you crank up the heat of your oven to a higher degree. It can withstand higher temperatures. Make sure you click on the links of the products you think is the best option for you. Find out more about what they have to offer. If you are looking for more kitchen utensils and supplies that will make cooking in the kitchen easier and more convenient, make sure you head to our homepage. We have a lot of product suggestions as well as product reviews to make sure you can buy what you need with confidence.